To the north-west of Seville, where the serene landscape meets clear skies, Mirandilla appears on the horizon. Its surrounds consist of a succession of gentle rolling hills, made all the more beautiful by the presence of evergreen oaks, eucalypts and wild olive trees. 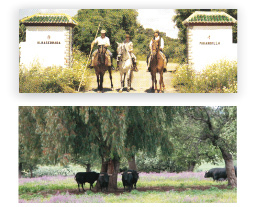 The property extends over 625 hectares where 500 head of cattle can be found grazing. 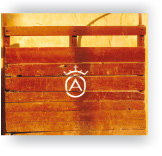 Mirandilla has remained unchanged in its contact with nature, a domain of peace and silence. It is only the enigma of the ‘toro bravo’, or fighting bull, that occasionally disturbs this tranquillity.